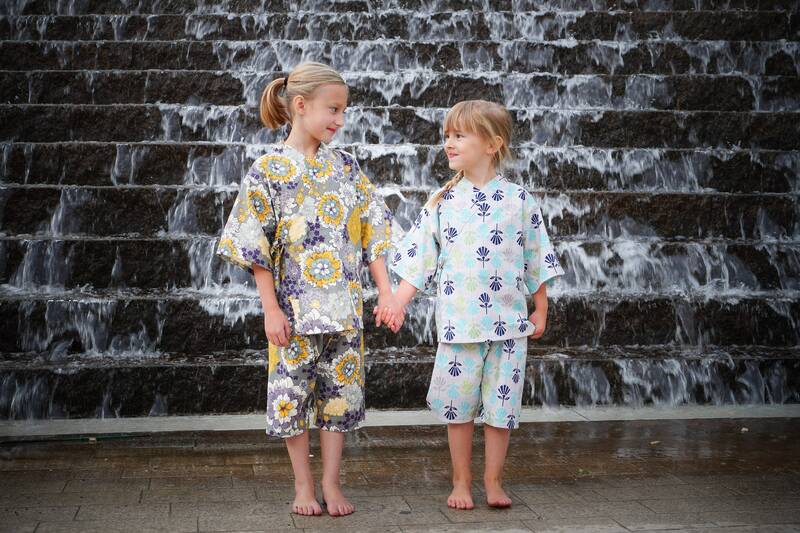 Japanese styled kimono outfits for kids (called Jinbei in Japan) are a MUST HAVE for every child's wardrobe. They are ultra comfortable, easy to wear and easy for kids to dress themselves. Made with designer stylish fabrics that children will adore. All are made of 100% cotton, and are machine washable and dry-able. 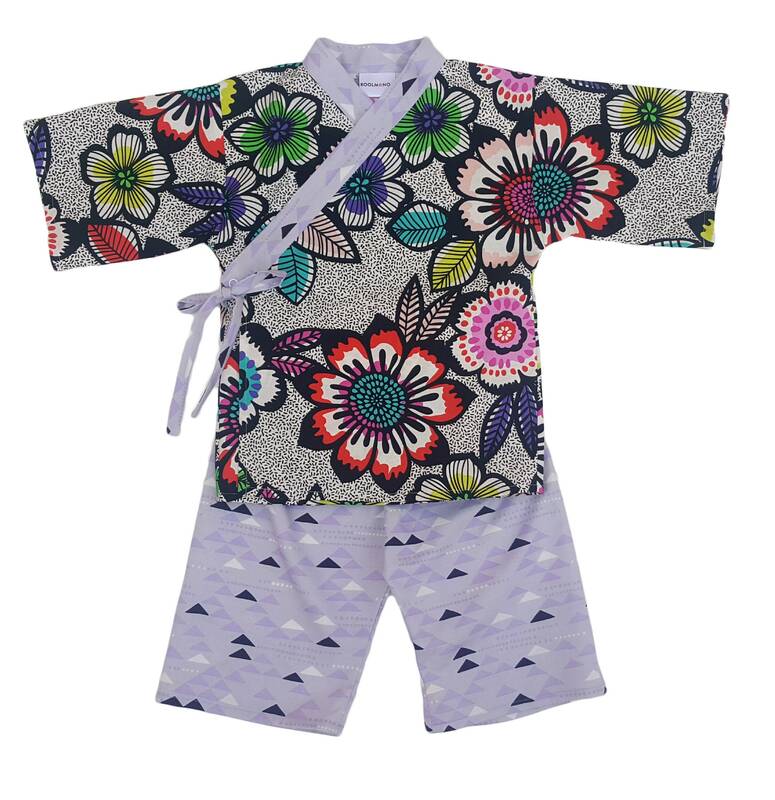 The traditional kimono top opens in the front and has snaps on the inside and out to keep it secure, along with a decorative tie on the side. 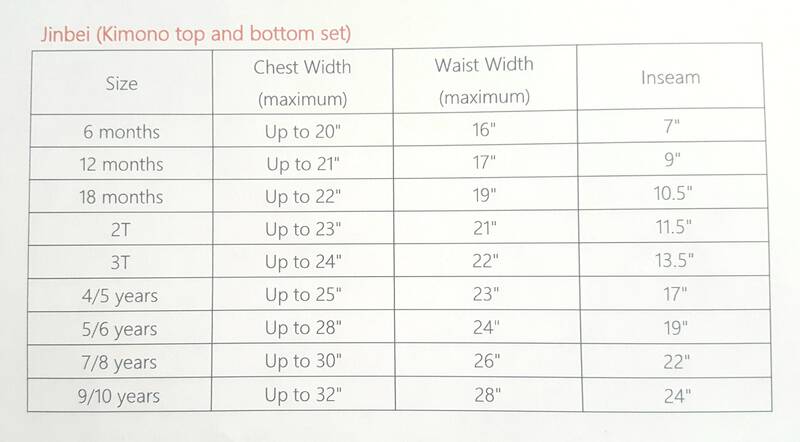 Pants have an elastic waistband for comfort and allow for growth. These outfits are versatile and can be worn to lounge around in, sleep in, or to play outside. Stunning bright multi-colored flowers, paired with light lavender print shorts.